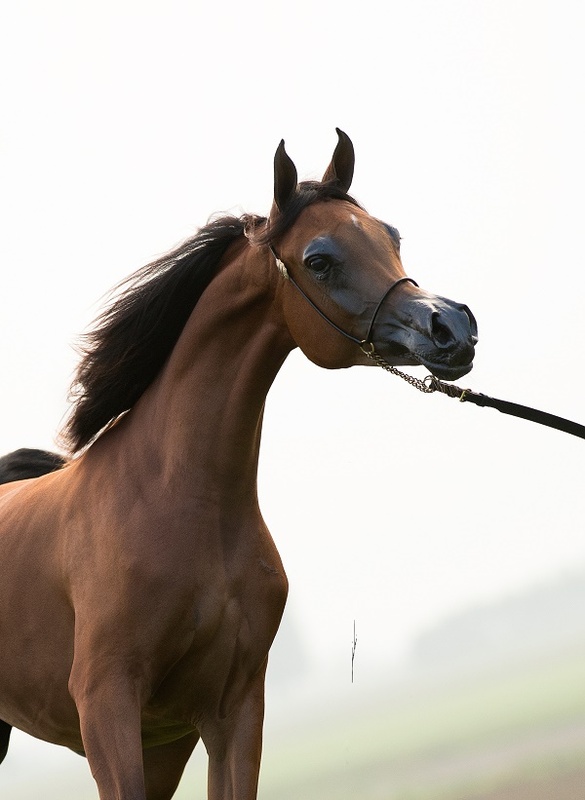 Our November cover horse is very special indeed, as we introduce Assilah Al Shahania. This beautiful bay yearling filly is one who is sure to become a big star indeed, and hers will be a name to remember. Assilah Al Shahania is bred and owned by HH Sheikh Mohammed bin Khalifa Al Thani, founder of the famed Al Shahania Stud in Doha, Qatar. Al Shahania Stud is unique in that it is home to both world-class racehorses, and global show-ring superstars. Founded by Sheikh Mohammed in the early 1980s, the decision was made around 2010 to expand the farm to include the in-hand showing world, and success swiftly followed. As the show and breeding programme has developed, so have the successes that the farm has enjoyed – and Assilah Al Shahania is the latest in this story. Foaled in 2016, Assilah Al Shahania is by SMA Magic One, a stallion who should need no introduction, such has been his dominance as a sire in recent years. Sired by Psytadel (Padrons Psyche x Bint Bey Shah), SMA Magic One is out of Majidah Bint Pacha, a daughter of AS Sinans Pacha (Ansata Sinan x Saskia RJ) and out of AS Mounah (Hallim Ibn Kendal x AS Kharima). 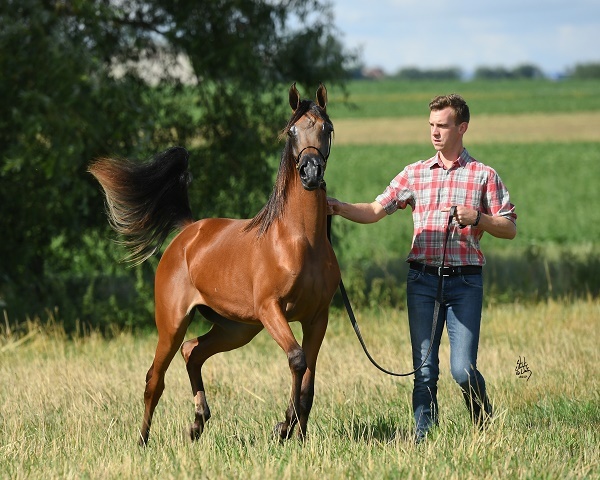 The combination of Russian, Crabbet and Egyptian lines has been a powerful and exotic one, and SMA Magic One has consistently sired show winners across the globe. Looking to Assilah Al Shahania’s damline, we have the American-bred mare, Nadira of Rohan. Her sire is RHR Heir of Marwan, a stallion who has spent much time between the US and Australia, and where he has been shown successfully on both continents. A son of Marwan Al Shaqab (Gazal Al Shaqab x Little Liza Fame), RHR Heir of Marwan is out of LC Psychesheiress (Padrons Psyche x Jamaara FA). Nadira of Rohan is out of Nala of Rohan, a daughter of the acclaimed US National Champion, Falcon BHF (Bey Shah x Bey Serenade SF). Nala of Rohan’s dam brings in further Polish lines, along with some Gainey, being out of Tahiti Sweetie, by AA Manhattan (Wind Fortune x Gai Sweet) and out of Instars China (Wizjon x SH Raisin Tea). Assilah Al Shahania may be young, but she is already a Gold Champion here in Europe. At the Deauville Arabian Cup at the start of October, Assilah won her class in style. With a score of 92.35 points, she finished over two points ahead of her nearest competitor. Then, in the Yearling Filly Championship, Assilah Al Shahania was named unanimous Gold Yearling Filly Champion – and as regular show goers will know, it is no small feat for one so young to be a unanimous champion. 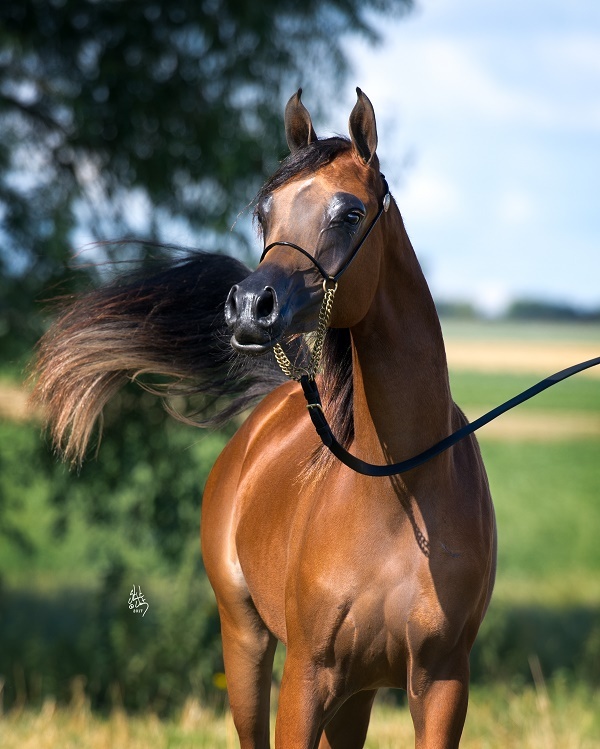 With undeniable quality, a great expression, freedom of movement, great type, long, stretchy neck that she uses well, plus a fine muzzle, Assilah Al Shahania has much to offer. The Paris World Championships now beckon – and there is no doubt that Assilah Al Shahania will have her name up in lights, now and well into her future.